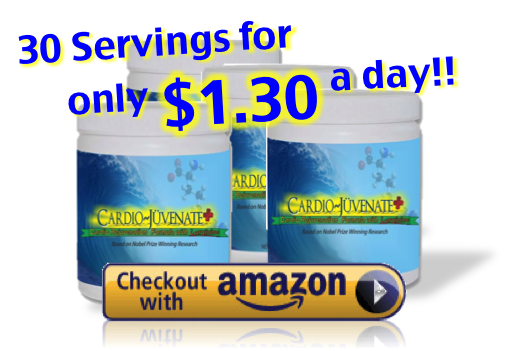 The high grade quality of L-arginine, L-citrulline and L-carnitine that is mixed into Cardio~Juvenate+ have been around for years. These ingredients have been clinically proven to improve circulation throughout the body, dramatically improving overall health. It’s been around since the beginning of time (it’s an elemental amino acid), and has been the subject of much research over the latter half of the past century, with promising data and thousands of testimonials indicating its numerous positive effects on the body when taken daily in large enough quantities and in high enough quality along with the proper amount of L-citrulline and L-carnitine as a supplement. This page is devoted to the pursuit of quality links to reputable sources where research has been gathered and compiled in the study the effects and benefits of L-arginine and L-citruline (which get absorbed and turn into Nitric Oxide) in the body, as well as the other essential ingredients in our formula. We believe that the more credible information that is available, the better that you will be able to deterimine that our product is right for you. Dr. Louis Ignarro is a distinguished Professor of Pharmacology at the UCLA School of Medicine’s Department of Molecular and Medical Pharmacology in Los Angeles where he continues to research the benefits of Nitric Oxide and its role as a signaling molecule. He is the founder of the Nitric Oxide Society, and founder and editor-in-chief of “Nitric Oxide Biology and Chemistry.” Dr. Ignarro holds a B.S. in Pharmacology, Columbia University, 1962, and a Ph.D. in Pharmacology, University of Minnesota, 1966. Dr. Ignarro has continued to contribute to Nitric Oxide research In his book “NO MORE HEART DISEASE, How Nitric oxide can prevent – Even Reverse – Heart Disease and Stroke”, he predicted the clinical reverse of pulmonary hypertension and cardiovascular disease. Dr. Joe Prendergast is a world renowned endocrinologist and an L-arginine specialist who founded the Endocrine Metabolic Medical Center which specializes in endocrinology and the treatment of diabetes. Dr. Prendergast was awarded and honored as the most outstanding Father of Endocrinology in the nation from the Diabetes Association. Since 1991, Dr. Prendergast has been personally using L-arginine and recommending it in his medical practice. In that time, he has treated over 8,000 patients with this formulation and has seen life saving results. At age 73, thanks to L-arginine, his arteries are the relative age of when he was a teenager. He now is on the Medical Advisory Board of Synergy WorldWide. In almost 20 years track record of L-arginine Use: How well has the daily supplementation of L-arginine stopped heart disease, stroke, and peripheral vascular disease? Dr. Prendergast boasts a record of 99.95% no referrals to a cardiologist or vascular surgeon. Why we age: The Aging process and how it contributes to Cardiovascular disease, Alzheimer’s Disease, and Diabetes. Dr. John P. Cooke is Professor of Medicine and Associate Director (Education and Training) at Stanford Cardiovascular Institute. Prior to the creation of the institute in 2007 he was Professor of Medicine and Director of the Program in Vascular Biology and Medicine at Stanford University in Palo Alto, California; a position he has held since 1995. Dr. Cooke completed a PH. D in Physiology at Mayo Graduate School of Medicine, Rochester, MN in 1985 and trained in cardiovascular medicine there between 1980 and 1987. Between 1987 and 1990 he was Assistant Professor of Medicine at the Harvard Medical School in Boston, Massachusetts. Between 1990 and 1995 he was Assistant Professor of Medicine at the Stanford University School of Medicine. Dr. Cooke has authored or co-authored over 280 research articles, abstracts, book reviews, book chapters. He has authored or co-authored five books and co-authored 19 patents. He has been a member of numerous national and international committees and task forces relating to heart disease. He is also a member of the editorial boards of a number of medical journals, including the Journal of Vascular Medicine and Biology, Circulation, the Journal of Cardiac Disease Prevention, the Journal of the International Society of Cardiovascular Pharmacotherapy, Cardiovascular Drugs and Therapy, the American Journal of Cardiovascular Drugs and the Korean Journal of Cardiovascular Diseases. John P. Cooke authored “The Cardiovascular Cure”. Here he tells the strength of l-arginine to lower blood pressure, prevent heart attack and stroke, return coagulation to normal, and reduce vascular inflammation and oxidation to normal.